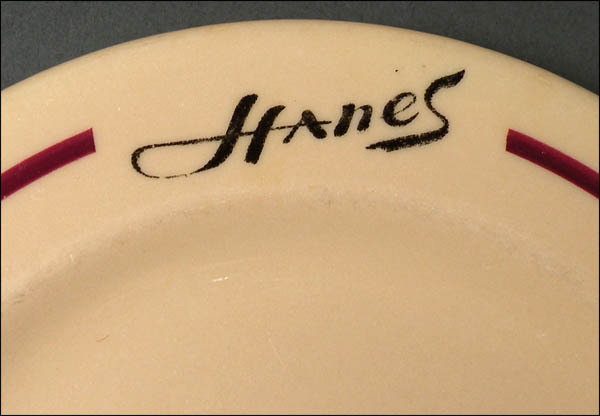 From socks to hosiery, Hanes has been well-known in North Carolina for a century. These plates (I have two and am listing them separately) would most likely have been used at the plant’s corporate headquarters in Winston-Salem, N.C. 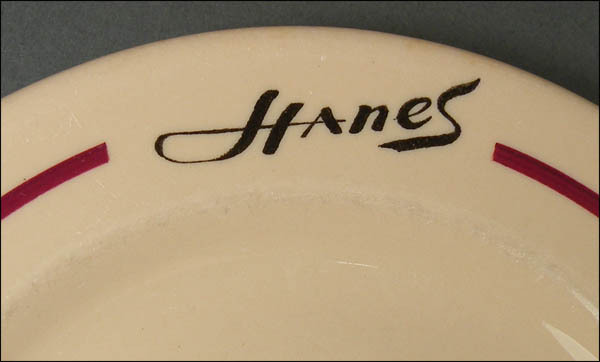 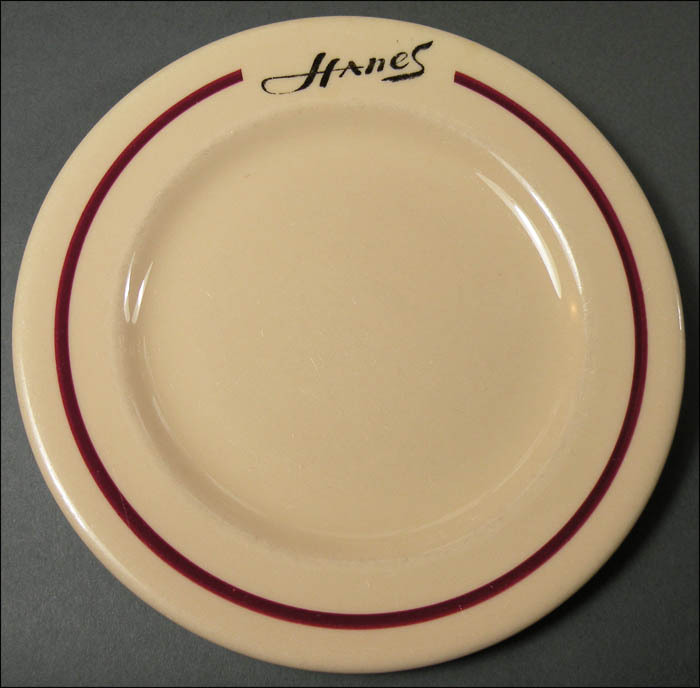 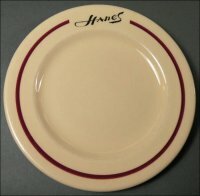 The plates are 6 ¾” in diameter and have moderate-to-heavy use marks, though both are still shiny, the logos are fresh, and they are in excellent condition. 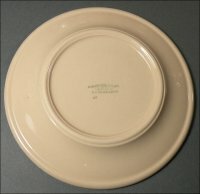 The distributor for the plates was Albert Pick Co., Inc., and based on the backstamp, I estimate these were made in the 1930s or 1940s.